Accuracy and high launch easy to come by, hybrids in combo set a great option. Shallow face compared with others in the category. Looks won’t appeal to all. All three testers pointed out the large amount of offset. James and Kit weren’t fans of the rounded top line, while Chris was put off by the red lines in the grooves. James felt the ball came off the face powerfully while Kit experienced a higher flight than he was used to. Chris noted how he found the hybrids much easier to hit than the long and mid irons. It wasn't all that long ago that we were all armed with long irons, and using them with varying degrees of success. How times change. The 2-iron is near enough dead for the vast majority of golfers, and with the likes of Cobra’s Baffler hybrid finding its way into more and more bags, 3 and 4-irons up and down the land should be concerned about their future employment. The Baffler hybrid has been making golf easier for some time now, and always gets the job done in our tests – it’s incredibly straightforward to hit, and the latest addition in the Hybrid iron combo set is no different. It offers a high launch, and bags of forgiveness. get the ball airborne. The wide, railed sole also helps to get the club through thicker, more unfriendly turf. The face of the iron is massive, which builds confidence at address and after a few swipes you realise these clubs are going to deliver a soaring ball flight and lots of distance – which, clearly, all good game-improver irons should be about. If you’re new to the game, and want to get something that will pretty much guarantee enjoyment, you will do well to find better than these. Pros: Confidence boosting and the perfect option for newcomers. Cons: Unlikely to appeal to anyone other than a game improver. Cobra Golf is celebrating its rich heritage by launching the all new Baffler Hybrid Irons and Baffler Hybrid Iron Combo sets ahead of the company’s 40th anniversary. The Baffler Hybrid Irons take key technology from Cobra's iconic Baffler Hybrids to create an easy to hit iron that delivers maximum forgiveness, higher launch and improved distance. The Baffler Hybrid Irons use a railed sole, influenced by the Baffler but designed specifically for irons, to reduce turf drag, providing easy contact and easy launch from all lie conditions. The progressive, oversized face profile provides high MOI for superior forgiveness as well as a low center of gravity for a better launch. 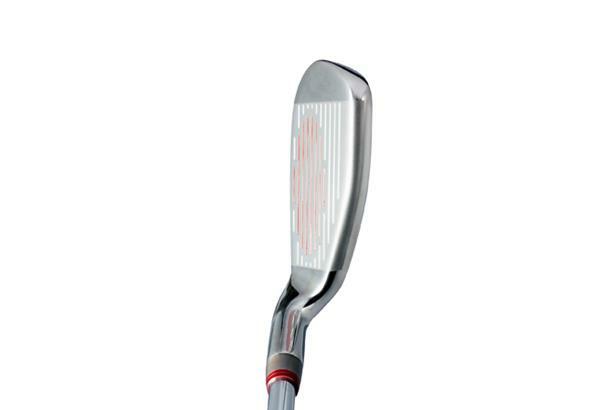 E9 Face TechnologyTM brings a variable thickness face that progresses from short to long irons, providing faster ball speeds and greater distance on off centre hits while a full back cavity TPU tunes vibrations to improve sound and feel on all shots. All Baffler Irons and Hybrids feature a Lamkin Cobra REL Grip. 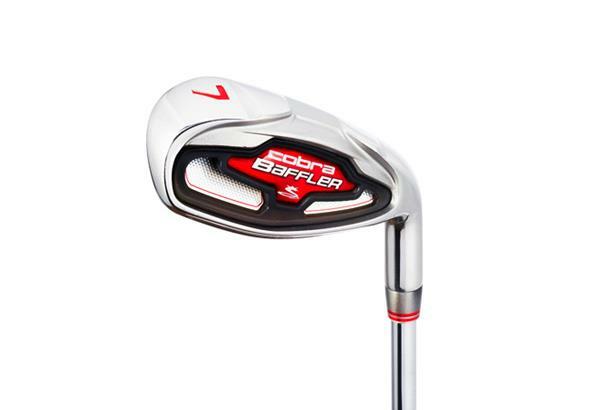 Baffler Hybrids feature an MRC Cobra Baffler Hybrid shaft and Baffler Irons feature an MRC Cobra Baffler Iron shaft. The full set is Revolver Grey with Barbados Red highlights. The Baffler Hybrid Irons are also available in a Baffler Hybrid Iron Combo set, where the long irons are replaced with easy to hit Baffler Hybrids. There will also be a women’s line, available in right and left handed models in women’s graphite flex with an SRP of £549 (5-SW). The Baffler Hybrid Iron Combo set is available in right handed only in women’s graphite flex with an SRP of £699 (4-5h, 6-SW). They feature a Cobra Winn Wrap grip and an MRC Cobra Baffler Hybrid/Iron shaft. The set is Capri Blue with silver highlights.